Nearly 58% of Americans planned home renovation projects in 2018. Renovation projects are a great way to breathe new life into an existing home. 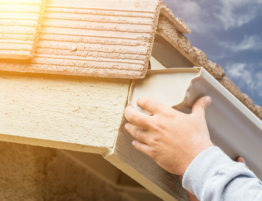 If you’re working on remodeling your home, or if you’re building a new home, you’re probably going to need to install gutters on the roof. Although not exactly a glamorous project — it’s a needed one. Want to learn more? Check out this article to learn about gutter installation and how to find a gutter contractor near Tacoma, WA. Gutters serve an important function for your home. They direct rainwater away from your home’s foundation. You need a gutter system to prevent water damage. 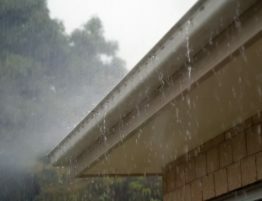 If you didn’t have gutters, the foundation of your home would absorb the moisture from the rainwater. This can result in water damage such as condensation in windows, fungal rot, and mold. 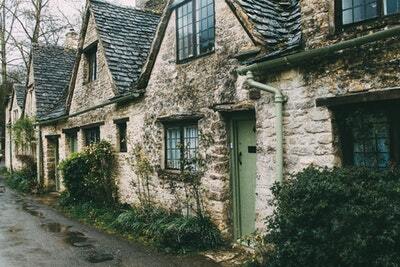 When it rains, water falls from the roof to the gutters. The water then goes into the downspouts and to your home’s drainage system. 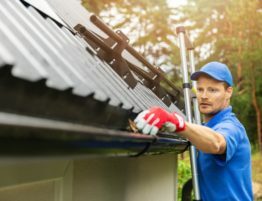 When Do You Need to Install New Gutters? You should maintain your gutter systems at least every year. You can have a professional inspect and clean your gutters if needed. A professional can also check the gutter seams which is where leaks can occur. 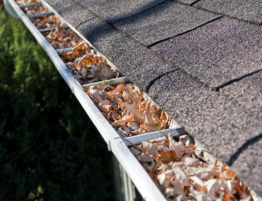 If your gutters are damaged or leaking, it may be time for a new installation. On average, gutter systems need to be replaced about every 20 years if they’re made of aluminum or galvanized steel and 50 years if made of copper. 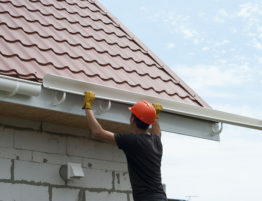 Looking to install new gutters for your home? Here are the most common materials for gutters. Aluminum is one of the most popular materials used for gutters. That’s because it’s resistant to corrosion, and it’s less expensive than other materials. It’s also lightweight. You can get aluminum gutters in a variety of colors. It’s easy to install. Another less expensive option is vinyl. Many do-it-yourself individuals use vinyl. They are the easiest to install and are lightweight. However, vinyl gutters won’t last as long as the other materials. They are prone to cracks in cold weather. Galvanized steel gutters are another option. This material is strong. However, it can rust quickly. Steel gutters may begin to rust after 5-10 years. You will have to maintain them often to prevent rusting. This material is also heavy to work with. You can paint them so you have many color options to work with. Copper is one of the higher-end choices. It isn’t prone to rust. You don’t need to paint it — it has its own unique color. To install copper gutters, the seams and joints have to be welded. You would need to hire a professional gutter contractor to ensure the job is done right. Copper is pricey and is used often in historic restorations. Although you may think it’s simple to install gutters yourself, it can be a complicated job. Here are the top mistakes individuals make when they install gutters themselves. When installing gutters, you have to get the pitch and the tilt right. Gutters need to be pitched from one end to the other. If you don’t get the pitch right, the water won’t flow down to the drainage system. If the pitch is too high, it might make your roof look odd. As for the tilt, gutters have to be level so that water does not spill over the sides. Another thing to think about is how the gutters are positioned by the roof. The gutters need to be a few inches below the roofline. 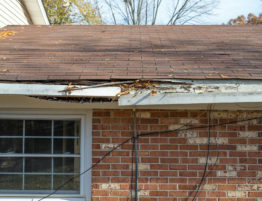 Seams are often where gutter damage occurs. If they’re damaged, or if the gutters come apart at the seams, leaking occurs. The best option is to have a professional create seamless gutters. That way, you’ll avoid having to fix damaged seams in the future. If that’s not possible, try to have as few seams as possible. Another mistake people make is creating too much space between hangers. If this happens, the gutters can sag from the weight of rainwater. You have to make sure there is even space between hangars and that they’re not too far apart. Nearly 500,000 people fall off ladders every year, and 97% of those falls happen at home or on a farm. Falling off a ladder is no joke. If you’re standing on a ladder, make sure you have someone to help hold the ladder steady. Or, hire a professional to get the job done. 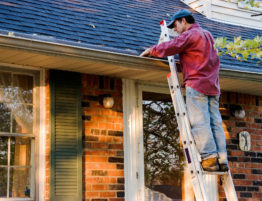 A professional gutter contractor knows all the safety rules when it comes to working on roofs. They also have safety equipment to protect them such as a hard hat. Imagine spending money on gutters and then damaging them during installation. This can be a waste of your money and time if you have to redo a section after working so hard on it. With all these possible complications, it’s easier for you to hire a contractor to install gutters. 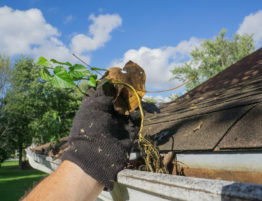 A professional has all the right tools and equipment to install gutters properly. Now that you learned a bit about installing gutters, it’s time to find a gutter contractor near Tacoma. You can search online or ask for recommendations. However, this can be time-consuming. You can save all that time and contact us at Delano Construction. We serve the Greater Pierce County community. We offer gutter services such as installing new gutters, gutter repair, gutter replacement, and gutter consulting. To learn more about hiring someone to install gutters, contact us.